Car Sharing is today’s business. New start up, large companies, merger acquisitions integrate new services. Edizioni Ambiente, within the Smart City series realizes a book targeted to operators, enthusiastic, administrators and.. Customers willing to know how mobility is changing. 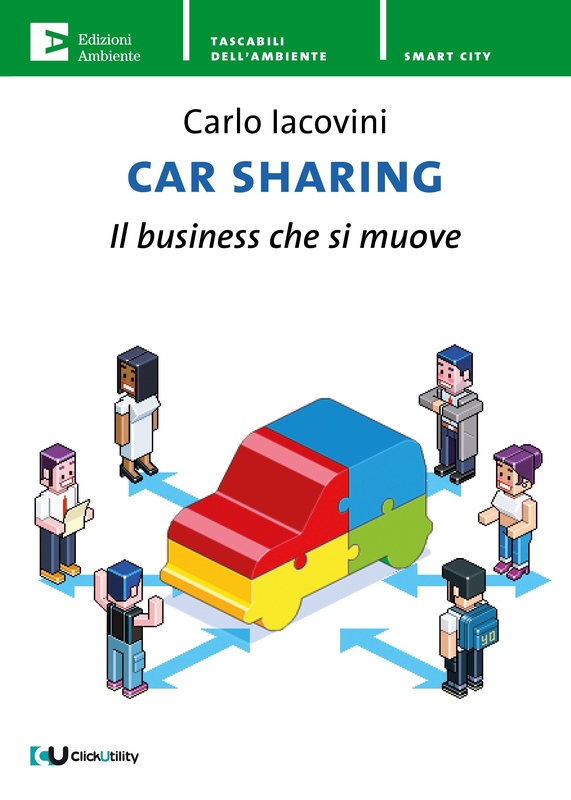 After the success coming from Milan and Rome experiences and new launches in Turin, Rome, Florence, Bologna and Verona, Italian cities will lead car sharing business. Where was this business born? And When? Far away, with few small pilot schemes in Europe and US, where large companies became public listed with hundreds millions value, together with thousands vehicles fleet. Free Floating, traditional, corporate, electric, peer to peer, ridesharing, the book is a journey through different sharing mobility models, it shows leading markets and future development.